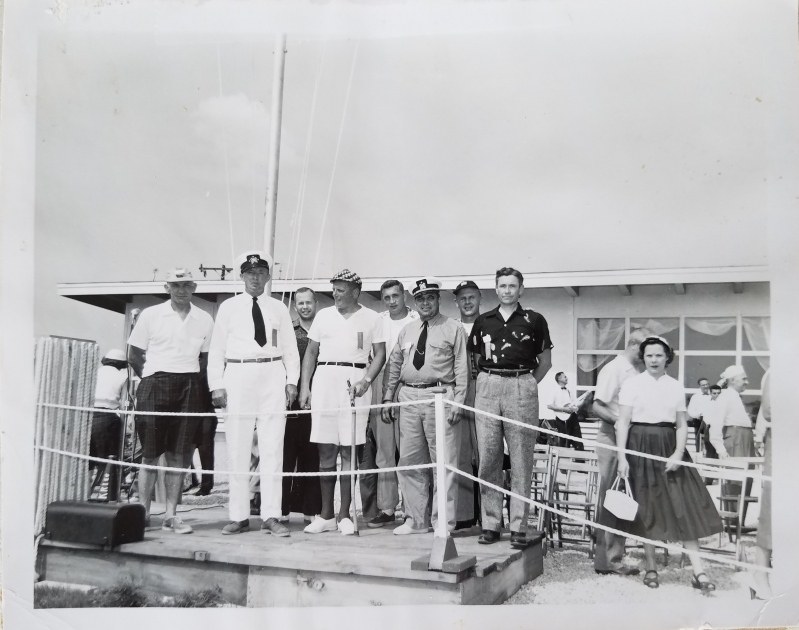 The history of the Indianapolis Sailing Club dates back to 1954. 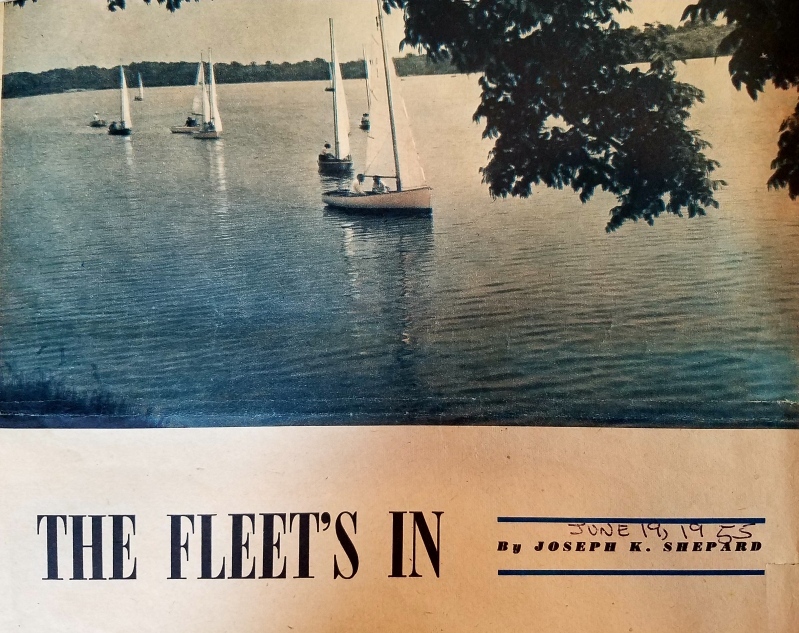 Jack Messmer, a local builder and visionary who had a love of sailing in his German blood, had discussed the possibility of organizing a sailing club on Geist Reservoir with his friend Howard “Scotty” Morse, President of the Indianapolis Water Company. Geist Reservoir had been built in 1943 as a water source for the City of Indianapolis by damning Fall Creek. It was named after Clarence H. Geist, a former owner of the Water Company. Geist had spent the 1920s and 30s purchasing land in Fall Creek Valley to make room for a reservoir. The purchases included the small village of Germantown, which today lies at the bottom of the reservoir. (The Club’s Germantown Sprints commemorates this history.) Although controversial, the reservoir was completed in 1943. Immediately after the reservoir was completed, rules forbade swimming, boating, and ice skating. In 1954, Geist Reservoir was used by only a few fishermen. On November 26, 1954, Messmer gathered some of his sailing buddies at the Athenaeum in Downtown Indianapolis to form a sailing group. During the next few months, this group of eager sailors met regularly to formulate a Constitution, By-Laws, Safety Rules, blueprints for the club house and plats for roads, docks, and other grounds improvements, as well as a lease with the Water Company. Much credit and appreciation must be given to the founding members during this early period: Jack Messmer (First Commodore, 1955), Clair E. “Scotty” Wilcox (Rear Commodore), John Buehler (also Commodore in 1956), August F. “Bud” Hook (also Commodore in 1956), lawyer-sailor William “Bill” Krieg (also Commodore in 1957), Charles “Charlie” Buschmann (also Commodore in 1959), Frank Welcher (also Commodore in 1960), Richard DeMars, Theodore Englehart, Harvey Gill, Russell Hayes, Merle Miller, John Modrall, among others. 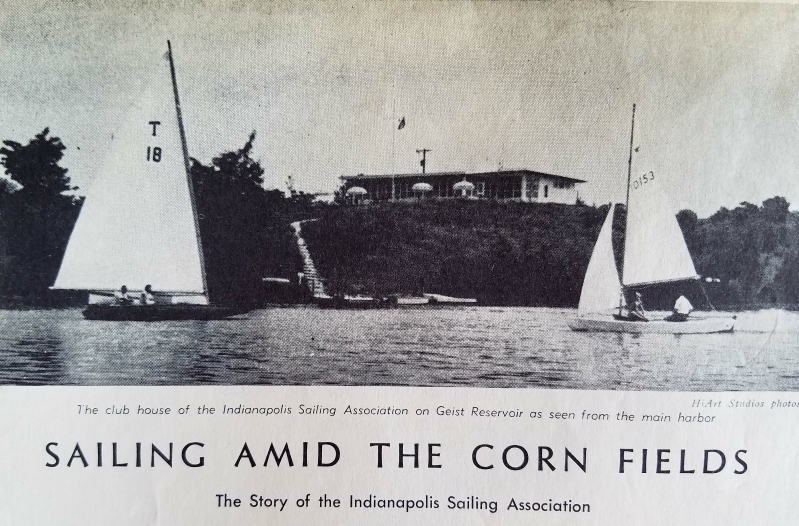 On February 24, 1955, Scotty Morse on behalf of the Water Company signed a ten-year, rent-free lease with the Indianapolis Sailing Association, Inc. granting the use of 13+ acres of club grounds and sailing privileges on Geist Reservoir. Sailing on the reservoir had become a reality. During the next few months, an increasing number of would-be sailors signed on as charter members, and the newly formed Board of Directors was busy building a club house on a scenic spot overlooking the reservoir and setting up mooring and docking facilities. 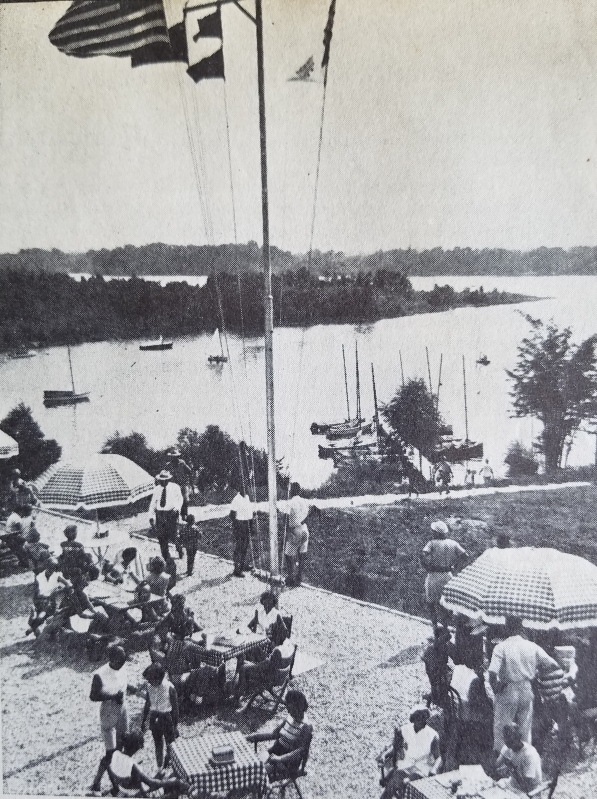 On June 19, 1955, a Grand Opening open house and formal dedication was held on the present Club grounds, with over 80 boats represented, and over 300 members and guests in attendance. Commodore Jack Messmer was presented with a key to the premises by Scotty Morse, and the Indianapolis Sailing Association was officially launched. The original classes of sailboats at the Club were Lightnings, Snipes (the largest fleet), Thistles, and a Portsmouth Fleet. 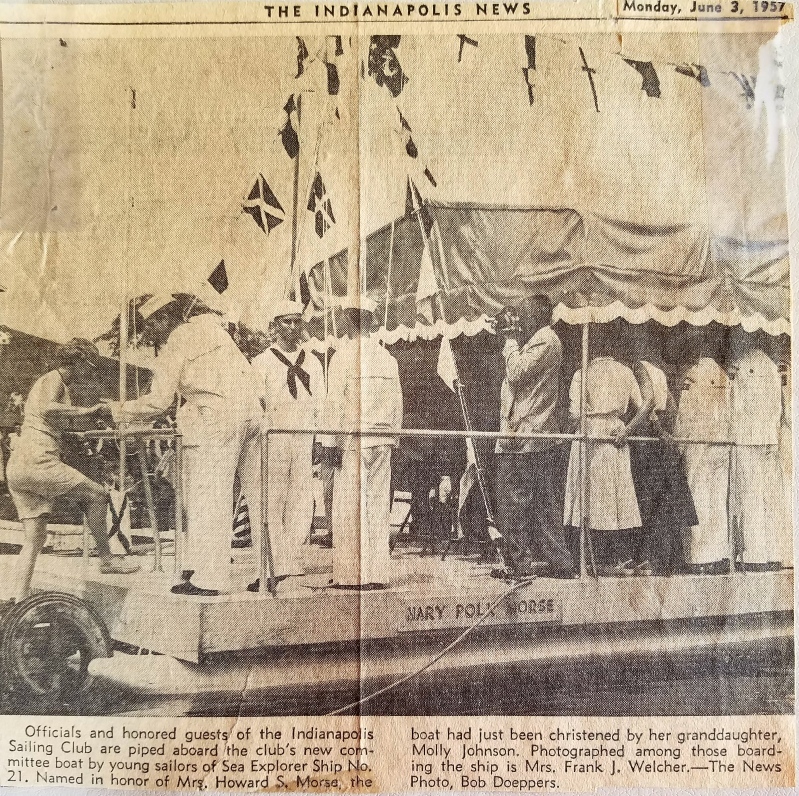 On March 11, 1957, at the annual meeting, Club members voted to change the name to the “Indianapolis Sailing Club.” John Buehler donated a large, well-equipped pontoon boat with a canopy for a race committee boat. The Mary Polk Morse (“Mary Morse”), named after the wife of Scotty Morse, made her maiden voyage on June 2, 1957 and has continued to serve the Club well. In 1970, the Army Corps of Engineers proposed to raise the height of Geist Reservoir by 29 feet to create what was to be called “Highland Lake.” That plan would have tripled the size of the reservoir and inundated most, if not all, of Club property. That possibility prompted the Club to purchase a 24-acre tract along the Marion-Hancock County line road, referred to as “Bill’s Cemetery,” as a new location. In 1978, the plan was dropped. Shortly thereafter, the housing boom around Geist began. Even though “Highland Reservoir” was never created, the Club retained its ownership of the “Bill’s Cemetery” property. In 1978, the Water Company announced to the Club that the 13-acre property was for sale. On December 27, 1982, the Club’s Board of Governors and the Board of Directors voted to accept the terms of a purchase agreement negotiated by Jim Richter and Bill Rountree and others. In exchange for the 13 acres of the present Club grounds, the Club transferred the “Bill’s Cemetery” property to the Water Company and paid just under $245,000. Since its beginning, many changes and improvements have taken place: The Club has 100 keelboat wet slips, while continuing its dinghy racing heritage. The Club also is the home club of the Indiana University collegiate sailing team. Women are learning and taking the helm with the Powder Puff racing series. And training continues to be available to both youths and adults interested in learning the sport.